Way back on Christmas morning. After all of the kid’s presents were opened. Dave and I took turns opening presents from each other. One of the presents he gave me looked really strange to the kids. To me, it looked like large clock hands wrapped up in plastic. My first guess was that it was a kit to build my own clock. The kids thought that it definitely NOT a fun Christmas present. As soon as I found out what it was, I was so, so excited! The kids thought I was strange and couldn’t see how a present like that was exciting at all. It was a garage door hardware kit. I have been wanting one for months!! And it finally warmed up enough outside to put it up!! We did still have our Christmas light up. They aren’t up anymore, though. Please don’t judge. It’s cold and snowy where we live! This was a really fast and inexpensive upgrade. Here’s a similar kit on Amazon * that is about $20. It took less than 30 minutes to install. I almost decided to take pictures when the sun wasn’t casting such a hard shadow – we did this in the evening. 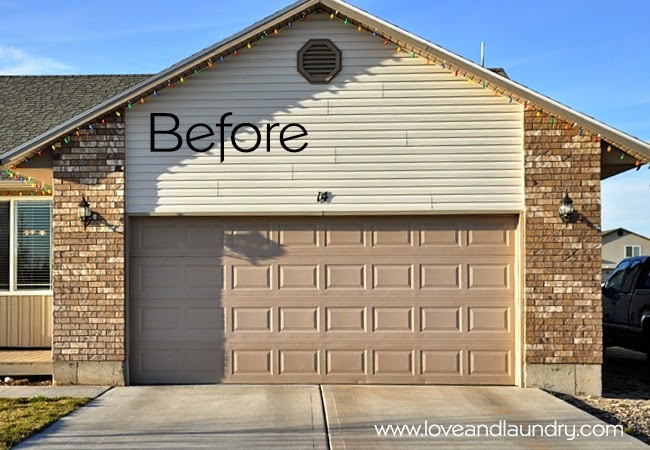 But, then I realized that it is so easy to see how quickly we put these on when you see the shadow change between the before and after. 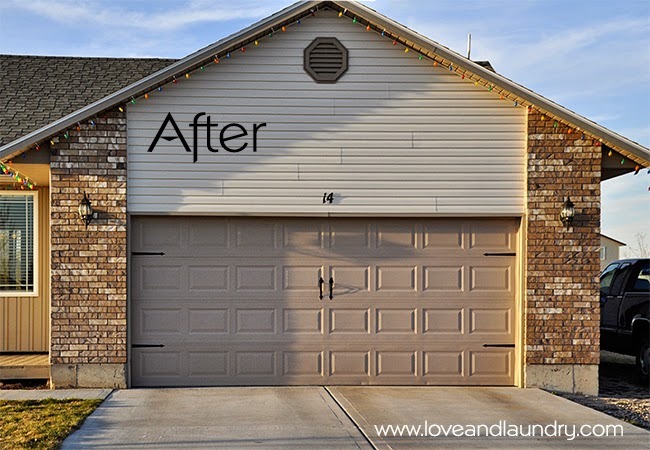 I’m so impressed that a little garage door makeover can make such an impact on our curb appeal! I am so, so excited to have these up! It really makes me excited for even more warm days to work more on the outside of our house. did you changed anything from inside or just the outside?